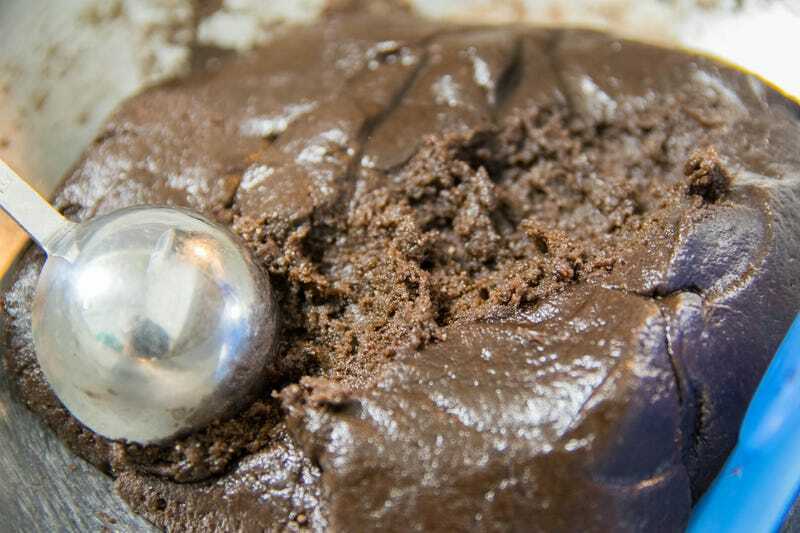 Can You Really Make Biscuits From Cake Mix? As a person who writes a column dedicated to lazy meals, I see a lot of recipes and videos for "simple" and "easy" dishes.. Most are shot from an overhead angle and include too much grade F cheese and ranch dressing for even my liking, but I came across something in my normal course of late-night Imgur browsing. 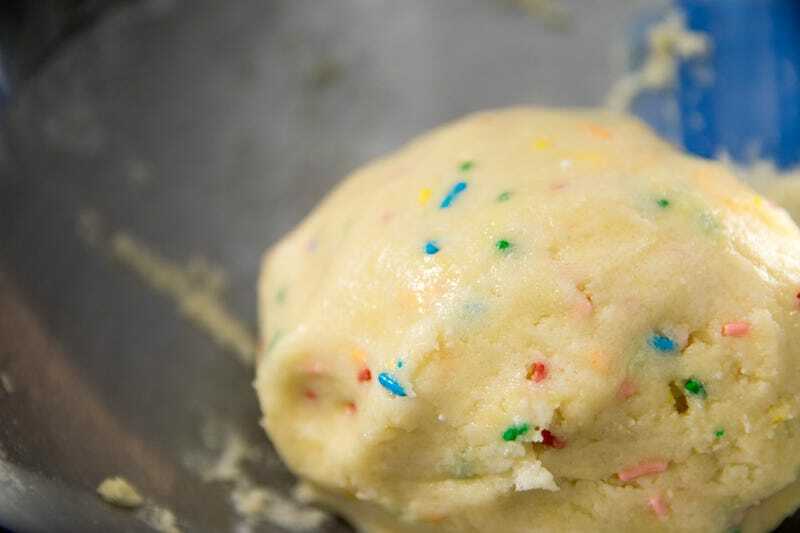 By adding 1/2 cup of oil and two eggs to any cake mix, you can have cookie dough. That's a pretty bold assumption. I don't think a gluten-free mix would yield the same result as say, a standard yellow cake mix. 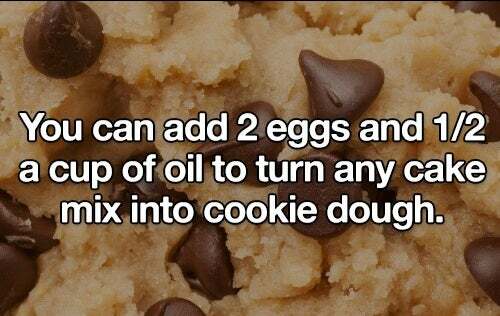 For the most part, cookies aren't a difficult process, and this is a really open-ended "recipe tip." Also, outside of emergencies, why would you want to use a cake mix instead of say, a cookie mix? 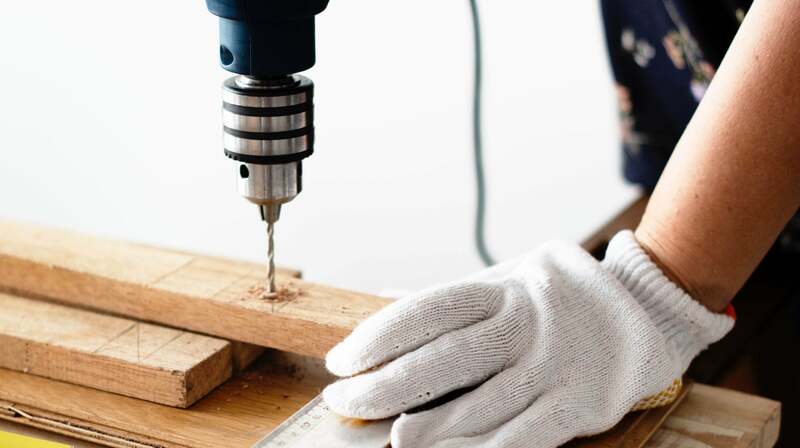 There's no mention of oil type, measurement, cooking time or temperature to use, either. But I'll take any excuse to make and eat cookies, so here we go. This looks like a world map from every JRPG I’ve ever played. 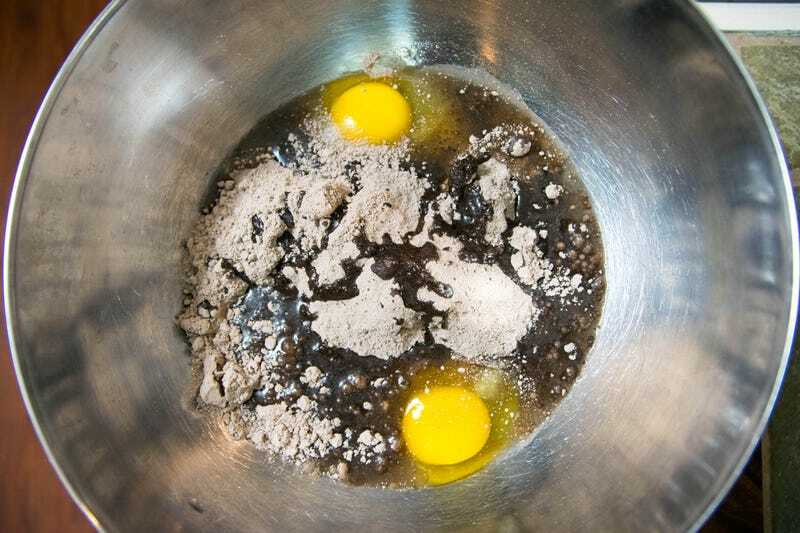 The cake mixes I used all call for vegetable oil, water and 3 eggs. That's a lot of wet ingredients, and the "recipe" cuts out a pretty significant portion of them. The first thing you'll notice here is that the "dough" is very dry without the water and additional egg. 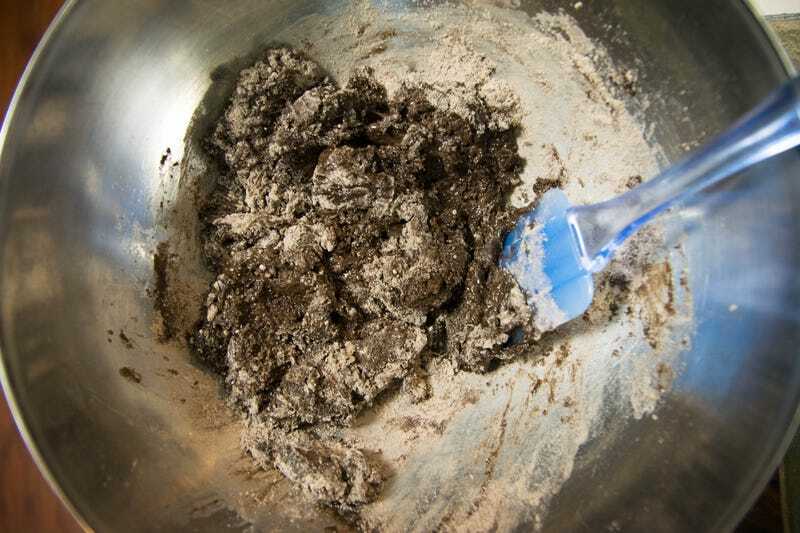 A minute or so of hand kneading takes care of that, but the dough is a bit oily. 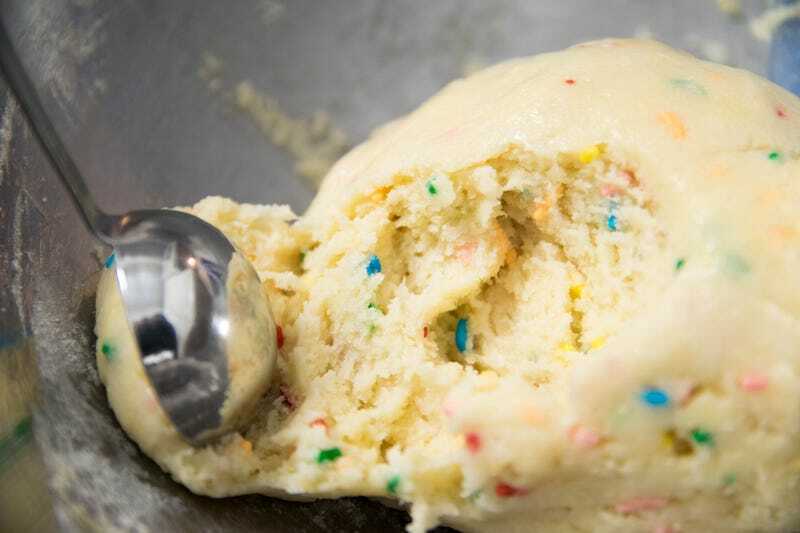 It doesn't look or feel like a cookie dough, but I have faith in the internet. Why would it lie to me? The hard part here was finding a cooking time, measurement for each scoop of dough and a cooking temperature. In a world saturated by lousy (but pretty! ), Pinterest-friendly recipes, there isn't much to go on. One recipe I came across called for a cook time of 4-11 minutes, which is a lot of opening and closing of the oven. I went with the temp and time from the quintessential Toll House recipe: 190 degrees for nine minutes, before checking with a toothpick. I wasn't satisfied until 13 minutes and a clean toothpick, but since ovens vary, nine minutes is a good time to start checking. After letting the batch cool for a few minutes — warm cookies are the best cookies — I bit into some fudgy goodness. Not bad! But not great. The oil lends itself to a crisp bottom and top, but there's just too much of it there. I looked to King Arthur Flour, which suggest that chilling the dough would slow the spread of the fat during baking. So into the refrigerator went the dough, yet it was still too strong. I was nearing the end of my rope, with two more boxes of mix in tow. I needed advice. So I called my mum, who had me feeling like a fool almost instantly. "What are you writing about this week?" 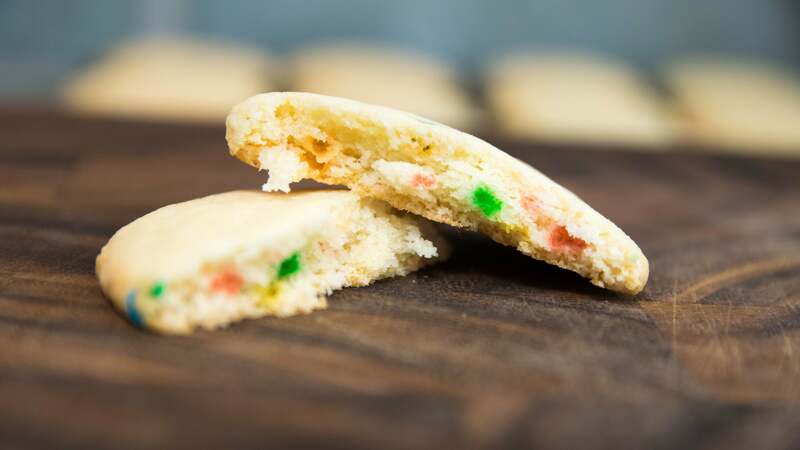 "Some kind of cake mix cookie recipe I saw on the internet. Trying to see if it works, but so far it isn't great." "Oh, like the Pillsbury one?" Yep. Pillsbury has what I believe to be the original version of this so-called recipe, published after the Pillsbury Bake-Off of 1990. Over the last 27 years, mostly thanks to the internet, it's been passed around so much that it's turned into a purple monkey dishwasher. 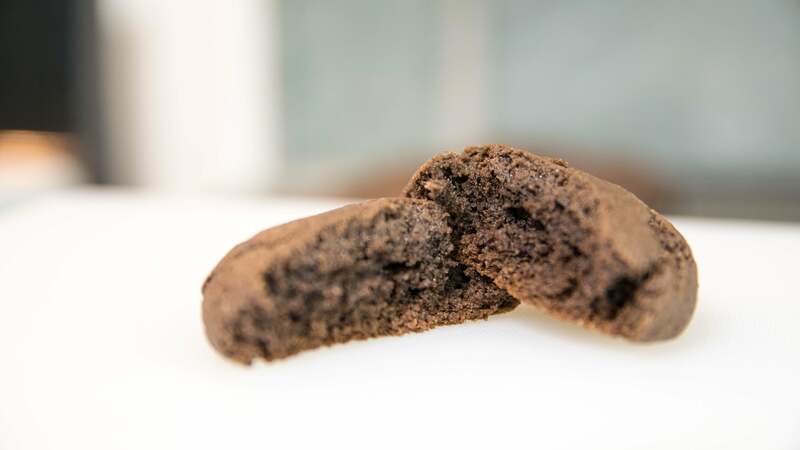 Molly Taylor's original recipe uses only 1/3 cup of oil, immediately solving the issue of greasy dough and ill-tasting cookies. It leaves just enough for a crisp exterior, and allows for a more finished interior to the product (though still plenty moist). She also presses the cookies with a glass to promote faster, more even cooking at a higher temperature. 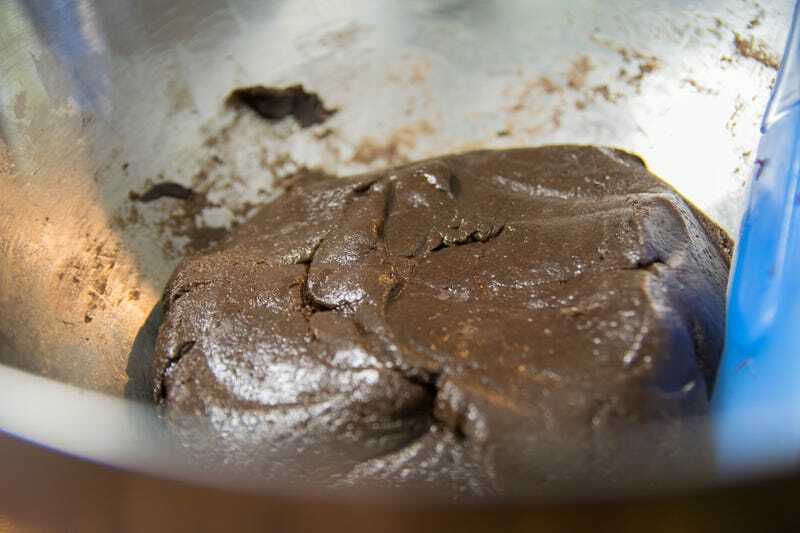 The dough still needs a little help to come together fully, but it is still worth the effort. Not nearly as shiny, thanks to less oil. Much better texture, like a cookie dough should be. I tried doing this with a rocks glass, which was surprisingly too smooth to grip the flour. Now, are these as good as a from-scratch chocolate chip? No way. 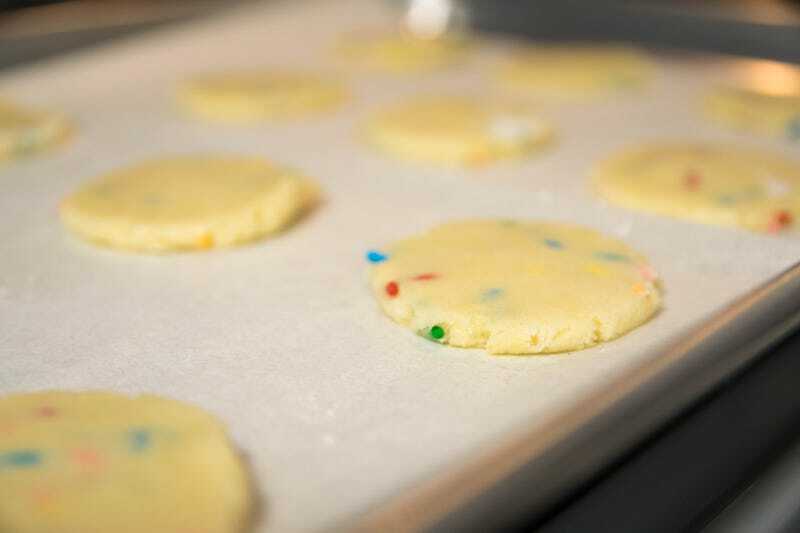 But they're an inexpensive alternative, maybe best suited for kid's birthday parties and short-notice potlucks — fast to make, with a wide flat surface that makes decoration simple. 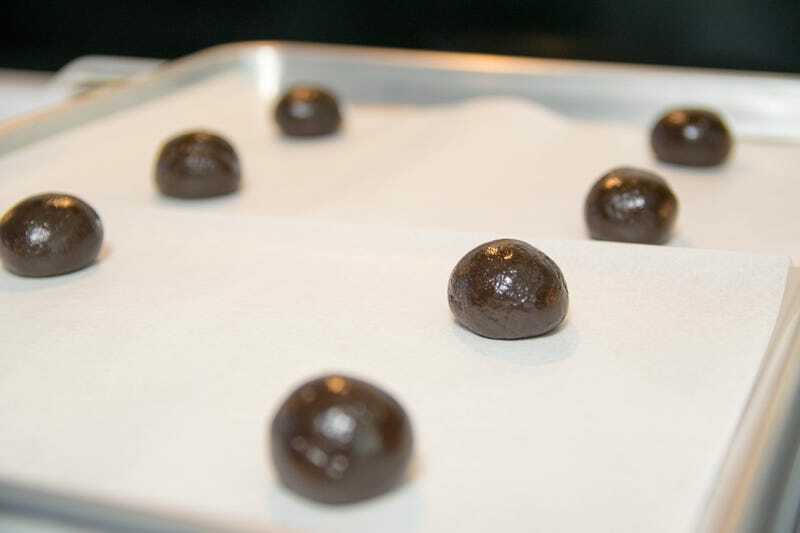 Add-ins like candy chips and nuts don't make any difference in cook time, so you can freely experiment with flavour combinations to yield a quick and tasty treat.